Burrata, pink grapefruit, pistachio and garden radish, from Chiswick, Sydney. Photo: Louise Kennerley. Australian cheese – both imported and those made locally – has come a long way since Babybel and Kraft Singles were the benchmark of sophistication. Last financial year, combined domestic and export sales of Australian cheeses totalled $2.7 billion, according to peak industry body Dairy Australia, and the countryside is now dotted with hundreds of specialist and artisan cheesemakers. Recent changes in regulations around non-cooked-curd raw milk cheese have people talking (and experimenting), although most would say the changes don’t go far enough. Regardless, Australian cheese tastes are continuing to evolve and change. Here’s a snapshot of the latest trends coming to a cheese platter near you. The trends some might associate with the 1970s – baking camembert and grilling raclette – are back, stronger than ever. Late last year, award-winning Melbourne cheesemonger Anthony Femia opened his raclette and grilled cheese bar, Maker & Monger, at Melbourne’s Prahran Market. Femia says his top-sellers are a raw milk Swiss Valais raclette and cacio e pepe: fresh pasta made inside a wheel of parmesan. In Sydney, Salt Meats Cheese (68 Bay Street, Ultimo) does a fiery cacio e pepe (strozzapreti pasta set alight in warm brandy, $25 a head) every Wednesday night. 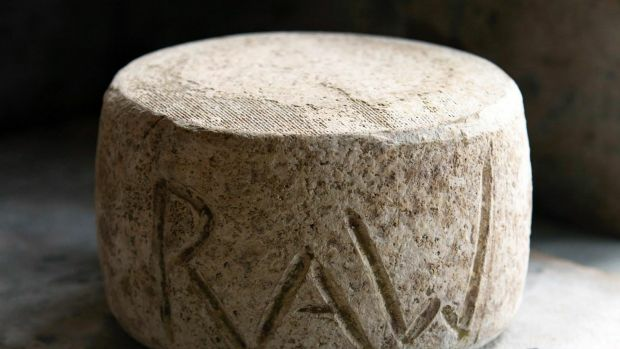 Cheesemakers such as Tasmanian Nick Haddow are creating excellent hard, cooked curd cheeses (like his Bruny Island C2) but interest in farmhouse cheeses, made by producers who also raise the animals that provide the milk, is up across the board. Spring Street Cheese Cellar’s Victor Persinette is a fan of Castlemaine’s Holy Goat and Gippsland’s Prom Country Cheese (he recommends “Venus Blue” or Sheep Sensation”), and Locheilan Farmhouse Cheese, in Victoria’s north. “I prefer to [pay a little bit more for] my cheese, knowing that the person is actually taking care of his animals, making the cheese,” he says. In the NSW Highlands, Pecora Dairy is a shining farmhouse light, making a ewe’s milk mild blue, a semi-hard and, from spring to autumn, a mould-ripened fresh curd called Bloomy White (on the menu at Bennelong, Quay and Biota, in Bowral, or over the counter at Carriageworks Farmers Market). Make good cheese without animal products? You must be nuts. Actually, soft, creamy vegan cheeses made from cashews and macadamias are seriously turning heads. Mister Toast in Sydney’s Marrickville Market started making vegan toasted sandwiches in April. Now people travel across town for them. “It’s like the new hummus, only better,” says co-owner Heidi Abraham. Also, look out for vegan cheese platters at Otto (6 Cowper Wharf Road, Woolloomooloo) and Smith and Daughters (175 Brunswick Street, Fitzroy), and sample offerings from The Vegan Dairy (thevegandairy.com.au) and Botanical Cuisine (58-60 Sackville Street, Collingwood). Sogna Ocello and husband Carmelo began importing burrata at their Formaggi Ocello store (425 Bourke Street, Surry Hills) eight years ago. “We had a very elite group of people that used to buy the Italian one from Puglia,” she recalls. Now burrata, along with other Italian stretchy curd cheeses such as stracciatella and scamorza, has become “quite trendy”. 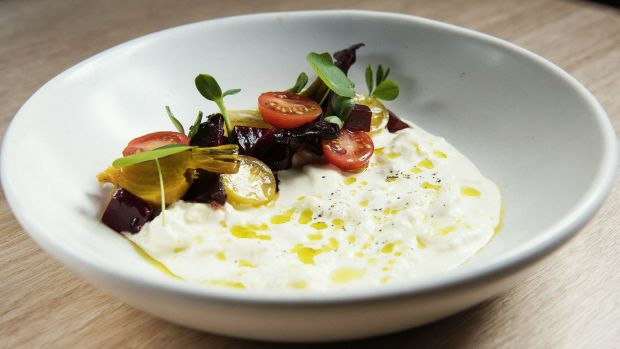 Or get your burrata fix by booking a table at the Buffalo Dining Club (116 Surrey Street, Darlinghurst) or Cumulus Inc (45 Flinders Lane, Melbourne). Savoury cheese used to make sweet treats? You bet. Pidapipo (299 Lygon Street, Carlton) is making delicious cheesy gelato, including mascarpone, berry and biscotti; ricotta, canola and Nutella swirl; and a cone topped with parmesan, fig and honey. In NSW, the Paper Street Ice Cream Company (paperstreeticecream.bigcartel.com) rotates two cheesy flavours monthly: gorgonzola and fig, and a goats cheese, raspberry and cannoli. And in August, Om Nom Dessert Bar chef Christy Tania guest-starred at Milk the Cow (157 Fitzroy Street, St Kilda), creating an all-dessert menu with cheese in every courseone of a series of “kitchen takeovers” planned. 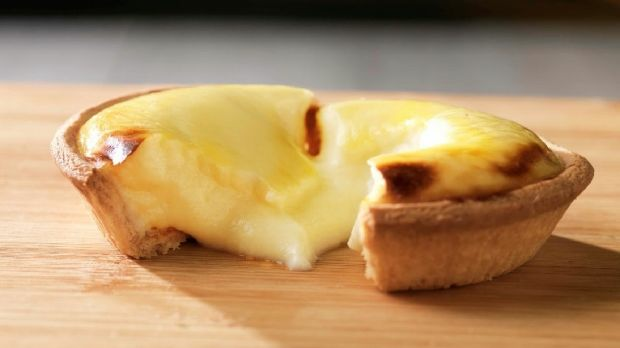 Finally, cult savoury-sweet juggernaut Hokkaido Baked Cheese Tarts is heading to Australia, with four stores in Melbourne and one at World Square in Sydney expected to open before Christmas. This story first appeared in The Age and the Sydney Morning Herald’s Good Food sections on 29 November 2016.